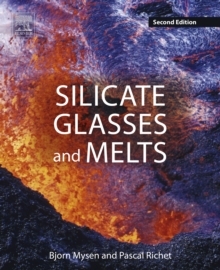 This book describes the structure-property-composition relationships for silicate glasses and melts of industrial and geological interest. From Antiquity to the 20th century, an introductory chapter presents this subject in a historical perspective. 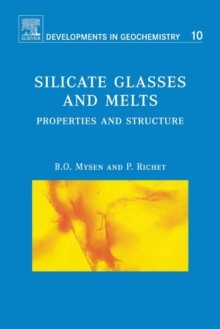 Basic concepts are then discussed in three chapters where attention is paid to the glass transition and its various consequences on melt and glass properties, to the structural and physical differences between amorphous and crystalline silicates, and to the mutual relationships between local order, energetics and physical properties. With pure SiO2 as a starting point, compositions of increasing chemical complexity are successively dealt with in a dozen chapters. 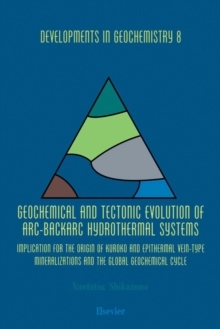 The effects of network-modifying cations on structure and properties are first exemplified by alkali and alkaline earth elements. 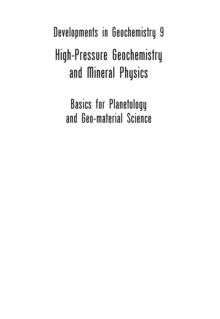 The specific influence of aluminum, iron, titanium, and phosphorus are then reviewed. With water, volatiles in the system COHS, noble gases, and halogens, the effects of volatile components are also described. 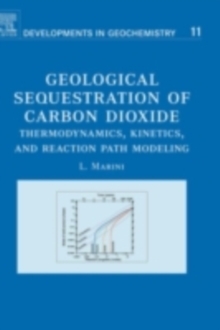 The last chapter explains how the results obtained on simpler melts can be applied to chemically complex systems. 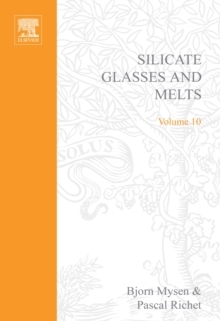 In each chapter, physical and chemical properties are described first and followed by a review of glass and melt structure. When possible, pressure effects are also considered.